Fun Sports Camp is for campers ages 15 to 18 to try out different sports while learning teamwork, and gaining independence in diabetes care. The campers stay at Rotary’s Camp Florida in Brandon, FL and bus to different venues each day. Activities are under the direction of various college coaches or certified instructors and include martial arts, volleyball, soccer, golf, basketball, tennis, and softball. Planned night activities include roller skating, bowling, and a night at Tropicana Field watching the Tampa Bay Rays play ball. 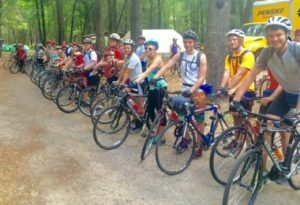 Divided into two sections, with one camp for campers ages 9 through 12 and one for ages 12 through 14, Winona camps are the largest programs offered. Each camp is staffed by three doctors, nurses, psychologists, and nutritionists. Winona is a rural setting on beautiful Lake Winona just outside of the Ocala National Forest. Activities for campers include swimming, canoeing, fun-yaking, and blobbing. Campers also learn teamwork through a high ropes course, team sports and cabin challenges. Nightly activities include a beach party, carnival, dance and a scavenger hunt. Note: Winona dates are one week earlier this year than in the past.